An Abiogenesis advisory board is a body that provides non-binding strategic advice to the management . Abiogenesis advisory board consists of key thinkers and thought leaders from pharmaceutical industry. These seasoned industry experts guide on the various subject of clinical trial including financials and overall growth plan of Abiogenesis. These industry leaders were selected due to the calibre of their work within their respective areas of expertise. Our advisory board have been part of the pharmaceutical landscape for a long time, providing valuable expert opinions on topics ranging from ensuring thorough regulatory submissions to clinical trial products. He has designed management agenda for profitable growth, relevant expansion, launching new concepts, ideas and projects for National and Global clients in Pharmaceuticals, Nutraceuticals and Wellness. 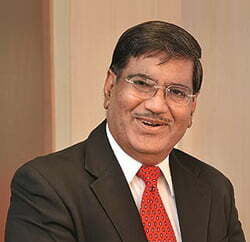 Being in the industry for more than 4 decades & in consulting as a pioneer for 3 decades, he has a perfect blend of industry and consulting best practices. Academically, he is MSc (Drugs), MMS and has PHD to his credit. Through Interlink, as a strategy and advisory consultancy, he has added value and impact on performance of wide variety of clients, by improving business performance, operational efficiency, sales and marketing excellence, and other challenges. He is also pioneer in bringing Video-based Skills Development packages in Pharmaceutical selling and marketing. He firms Interlink has also created intellectual property through management models, tools & techniques to achieve better performance year after year, of people and brands. Dr. Smarta has many trademarks and copyrights to his credit as IPRs. As a Ph.D. guide, he has successfully guided four students to their Ph.D. He has authored 6 books which have been published by national and international publishers for the Pharmaceutical and Nutraceutical sectors. 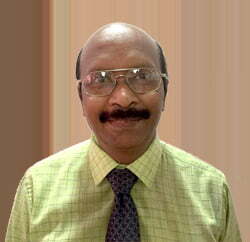 He has been with clinical research industry from past 34+ years after completing Doctorate in Pharmacy. Served as Head-Medical Affairs and managed Medical Writing, Medical Monitoring and Safety Management activities that encompass review of documents and activities, resource planning, client relationship management and deliveries. He has successfully handled regulatory inspections from USFDA, MHRA and CDSCO and also Prepared/overseen preparation of regulatory dossiers for DCGI, USFDA and MHRA. A keen planner & implementer with a proven track of developing operational policies/norms, systems & controls. Effective leader with excellent motivational skills to sustain growth momentum while motivating peak individual performances for process excellence. Played a key role in data quality improvement by taking new strategies and initiatives. Published over 30 research papers in national and international journals. Served as core team member in drafting the guidelines of National Pharmacovigilance Program of Ministry of Health, Government of India and also served as a peripheral centre coordinator for the period 2002-’08. 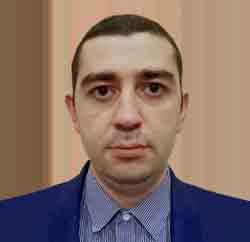 He has been in the Russian pharmaceutical industry for more than 10 years and accumulated a great understanding of the Russian pharma market. Providing support, consultancy and assistance to a great number of businesses, resulted in the implementation of various products and complex projects. They range from creating new brands to launching new products such as cosmetics, herbal products as well as pharmaceutical. A MSc degree in International relations & Diplomacy and completing PhD in Economics help him to realize challenging projects that meet different companies’ needs. Deep knowledge and expertise in various fields assists him in assessing tasks and goals from different perspectives. In addition, the provision of a comprehensive strategy helps other businesses to better plan and subsequently implement their businesses` objectives.